Romana is captivated by the prospect of becoming a powerful Sehan like her mother. But her dreams are shattered when everything she'd hoped for is bestowed upon one who couldn't care less about wielding Sehani magic. She craves power with every fiber of her being... and when she ... read full description below. Hope's Sehani powers have finally grown strong enough to risk returning to Earth. Gods willing, she'll find a way to rid her daughter of the soul-eater that possesses her, and convince Romana to return with her to Dayamaria. 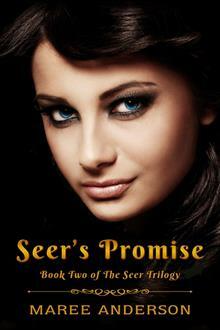 Romana is captivated by the prospect of becoming a powerful Sehan like her mother. But her dreams are shattered when everything she'd hoped for is bestowed upon someone who couldn't care less about wielding Sehani magic. Romana craves power with every fiber of her being... and when she finds a way to take what she wants, the cost is devastating for gods and humankind alike.